Remote Car Starters | Driven Sound and Security | Marquette, Michigan Don’t wait until the cold bite of winter weather makes going out to warm up your car a major chore or safety risk. Don’t wait until the cold bite of winter weather makes going out to warm up your car a major chore or safety risk. Let the experts at Driven Sound & Security demonstrate and install a remote car starter system ideal for your vehicle and specific needs. Whether you’re driving a gently used vehicle or a brand new one off the showroom floor, Driven Sound & Security has the latest technology to ensure a cold winter need not be detrimental to your warmth and comfort as soon as you enter your car. These experts can address specific needs like extended range transmitters, manual transmission, diesel and hybrid vehicles, push-to-start (keyless ignition) cars, vehicles using ‘coded’ keys, cars with existing security systems and more. Driven’s technicians can also add numerous features and functionality to enhance the utility of your vehicle and new remote car starter. Does your car lack power door locks or windows? No problem. Driven Sound & Security can easily add those features and integrate them into your remote starter for control from a key fob. What about added security with visual and audible deterrents? Again, it’s no problem. Security system functionality can be added to just about any remote car starter system to combine convenience and enhanced vehicle security. 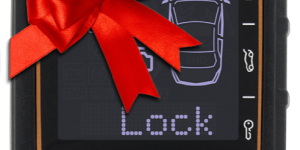 Even your smartphone can be integrated to control and communicate with your new remote starter. This allows you to start the car, lock or unlock doors and check the status of your vehicle anywhere in the world where you have a cellular or WiFi connection. All of our remote car starter models use multiple forms of logic inputs to ensure complete safe and reliable operation. For instance, if the hood is open the remote starter is bypassed from operation to ensure no hands or arms are in the engine area. If while remote started the brake pedal is pressed or the car is placed into gear, the system shuts down to prevent unauthorized use. While remote started if the doors are locked, they remain locked until the user unlocks them with the remote transmitter. The remote starter system also monitors attempts to start and, once running, monitors the engine RPM and charging system voltage to ensure a safe engine speed. Newer (computerized) vehicles often have coded transponder keys and other built-in security features from the factory to inhibit theft. Driven’s expert installation technicians use technology-based data and transponder interface devices to allow the vehicle to start by remote and ‘think’ it’s being started with the authorized key or key fob. The aforementioned safety measures prevent the vehicle from being driven away without an authorized key to take over once the driver has entered the car. Driven Sound & Security has years of remote car starter experience in all types of vehicles so there’s nothing but confidence in a customer’s mind. Virtually all of our remote car starters can be paired with security system functionality. Cover the entry points (doors, hood, trunk), add one or more sensors (such as an impact sensor) and increase the visual or audible theft deterrents to thwart car thieves or malicious vandalism attempts. Security system arming and disarming can be controlled from the same remote transmitter or smartphone app that is used for your remote starter, so the operation is almost seamless to the user. Added security provides peace-of-mind to protect your vehicle in situations where you can’t be there to watch over it yourself. 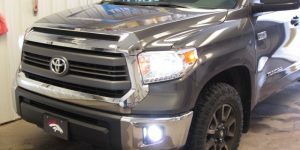 Beyond the high caliber of remote starter and security products offered at Driven Sound & Security, the care and quality given to the installation is the best in the area. Driven’s technicians solder every single wire connection to ensure reliability and longevity in all weather conditions. Lesser connection methods are prone to failure over time from weather or the high-vibration environment of the vehicle. Often installations of remote starters from Driven appear identical to factory wiring to further underscore just how much expertise is part of Driven Sound & Security professional installation. 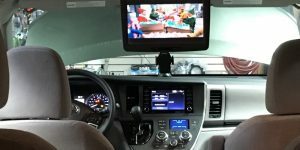 In addition to wire connections, the technicians at Driven are first to understand and properly integrate with the newest vehicle platforms. This extra measure of professionalism ensures your vehicle retains all the original electronic functionality as intended without worry of vehicle warranty concerns or remote starter reliability. After all, the last thing you want is a cheap remote starter installation that doesn’t work when it’s supposed to. Driven’s customers agree; they are some of the best remote starter installers in the country. When you visit Driven Sound & Security for an in-person analysis of your specific vehicle and remote starter expectations, you’ll be pleased to learn the options available. Whether you drive a diesel, hybrid gas-electric, fully electric or traditional gasoline engine vehicle, Driven’s technicians can install a remote starter in just about anything that moves. Contact the experts at Driven Sound & Security, just outside of Marquette, Michigan today and book your no-cost comprehensive vehicle analysis to learn more.